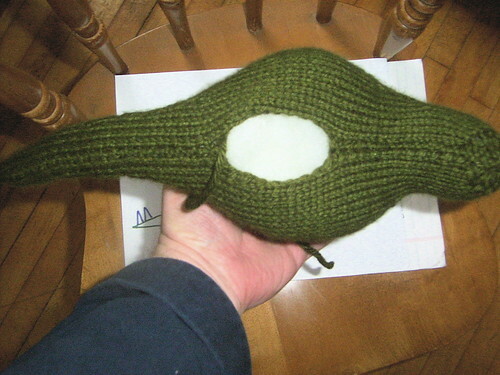 I've put up lots of pictures here: http://www.flickr.com/photos/jwgh/sets/72157603888991257/ People making knitted stegosauri of their own might find them useful. 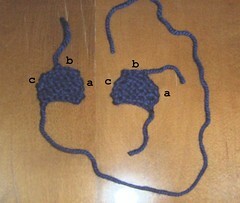 Ravelry users can find the pattern here. 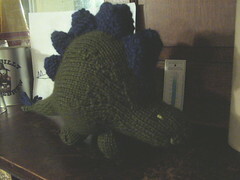 The instructions and photos show Stegosauruses made using worsted yarn, but I've also had pleasing results using bulky yarn with the same size needles. 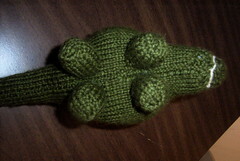 Or use size 1s and sock yarn for a mini Stegosaurus! 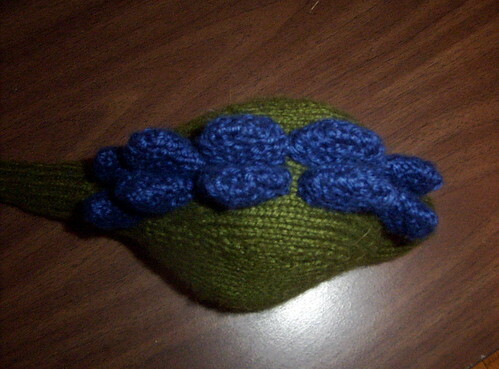 The pictures all show the Stegosaurus being sewn together knit side out, but you can also do it purl side out to get a different texture, which I find in some ways preferable. An example of what this looks like can be found here. When you encounter 'w&t' in the instructions, use whatever technique you prefer to wrap and turn the yarn. One method is described here. 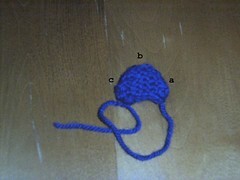 The body is worked in stockinette stitch. 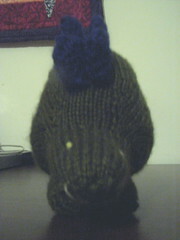 Cast on 5 stitches, leaving long (24 inch or so) tail for sewing shut. 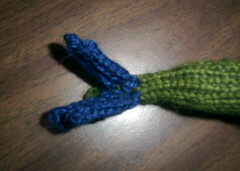 Thread yarn through remaining three stitches. 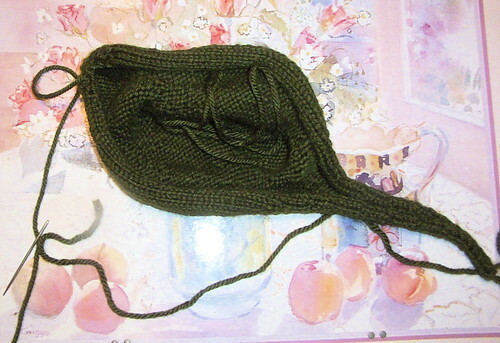 Sew bottom edge together from each end, leaving hole for stuffing (and with stockinette side out). Stuff, then finish sewing shut. Rows 2-10: Work in stockenette 8 rows. 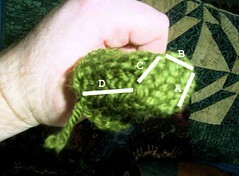 Row 11: Cast off 12 stitches, finish row. 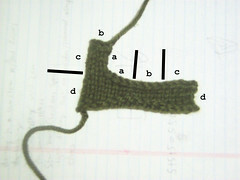 Rows 12-15: Work remaining stitches in stockinette (starting on the wrong side) for 4 rows (ending with knit row). Cast off remaining stitches purlwise, leaving 8-inch tail to sew together. Make two of the following, leaving a 18 inch tail on the second. Cast on 4 stitches. Work the following in garter stitch. Rows 1-2: Knit two rows. Rows 4-5: Knit two rows. 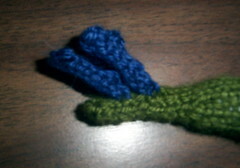 Row 7: Knit one row. If you want to make the backplates extra stiff you can insert a guitar pick point-first before attaching each back plate. This is not really necessary, though.